Herbs and Spice and Everything Nice! Look in your spice rack, you probably see an unorganized mess of old bottles, dull flavors and seasonings you never knew you had. These kinds of seasonings get passed on by family and friends and cleared out during a big move. Sometimes you buy special spices for a recipe and then never use them again, forgotten, only to be found again when you move or finally clean up the spice rack and let's get real; that never happens. Seasonings like salt (sodium chloride), spices (ground seeds and pods) and herbs (plant leaves and buds) are a great way to get funky in the kitchen and explore the wide world of international flavors. As a new cook, you're looking to expand your culinary horizons, your flavor palette if you will. 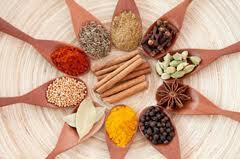 Well, there is lot's to choose from in the world of spices, herbs and seasonings. 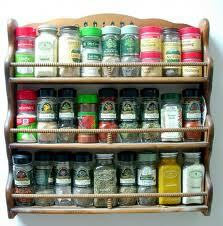 I am going tell you how to set up an inexpensive spice rack for an unlimited combination of flavors and experiences. The first step is to organize and clean out what you currently have. Trash all empty, old and duplicate spices. If you haven't used the seasoning in over a year, chuck it, then wash, rinse and dry the bottle to use later. Seasoning that you do keep should be kept airtight and in the dark to preserve freshness. The next step in creating a simple and inexpensive spice rack is getting some good salt. A pinch of salt is the perfect amount to bring out the natural flavors in your food. Kosher salt is must for most cooking. It has good flavor, course crystals for searing and creating a tasty crust on meat, it is also very inexpensive. Kosher salt is a chef and home cooks best friend. Iodized salt is a finer grained table salt, inexpensive, good for baking recipes, seasoning dressings and dry rubs. However it's not good at all for creating a good searing crust on steaks, chicken, pork chops and seafood. Iodized salt also has iodine in it which is important for our bodies and not really found in other foods. After you have picked out your salt, you are going to need some pepper. Ground pepper is great for mixing with other spices but I don't really like it for everyday use. The story is that ground pepper by law, is allowed to have a certain amount of fillers and foreign objects like metal shavings and rat poop from the processing plant, WOW!, I know. 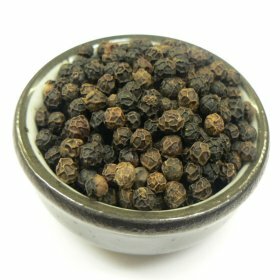 I like to use whole black peppercorns when I cook at home and at work. 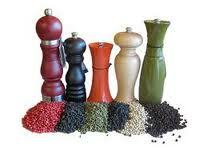 These can be put into grinders and used give a fresh peppery kick to meat, vegetables and sauces and dressings. Any grocery store these days will have a full selection of low cost plastic pepper grinders and peppercorns for filling grinders at home. Now its time to bring the FIRE! Hot spices are good way to bring the heat in your kitchen. 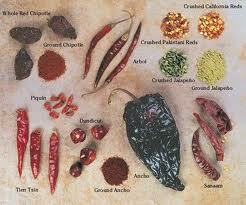 Chili powder will bring a nice bold flavor to your food where cayenne will truly bring the flames. Remember a little goes a long way and too much will ruin your day. I also like to have cumin and paprika on hand. Cumin and paprika mixed with onion and garlic powder are great for making tacos and other "exotic" cuisines from India, Morocco and Thailand. Warm spices like cinnamon, ginger, cloves, nutmeg, anise, and allspice are used in baked goods, dry rubs for meats and creating flavorful curries. 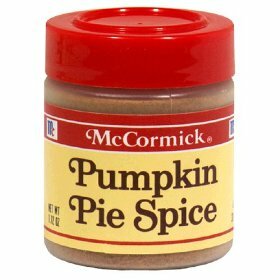 I like to buy pumpkin pie spice (a mix of cinnamon, ginger, cloves, nutmeg) which is available all year long is a great all in one option for warm spices. I even like to put a little dash in my coffee grinds before I brew a fresh pot. My friends love this because they think I bought really expensive coffee, when all I did is throw a dash of pumpkin pie spice in the mix. If you really want to get in the mix with warm spices, try Chinese 5 Spice. It has a mixture of cinnamon, anise, fennel, cloves and Szechwan pepper. You can spice chicken, pork ribs and tofu with this mixture for a warm, spicy effect. Spicy and warm spices are very cool for experimenting in the kitchen and you can buy them in small portions at a cheap price. Now you need something sweet in your spice rack and white and brown sugar will do the trick. Adding little sugar to your spice rub will intensify salty and spicy flavors and help create a crackling sweet crust on your food. I like to use dried and fresh herbs in my cooking but the selection can be intimidating. Buying herb mixes like Herbs de Province and Italian Herbs is a great way to include new flavors into your daily cooking without any of the work. 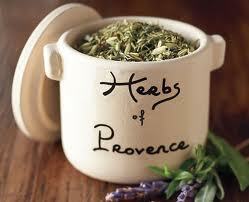 Herbs de Province is a mix of French herbs like sage, savory, fennel, basil, thyme, lavender and rosemary. This is a good mix to bake a chicken, herbed potato and to season soups and stews. Italian herb mixes can be used on pizza, garlic bread, pasta, meats, seafood and vegetables. It will have basil, oregano, parsley, thyme, sage and marjoram. Buying these herb mixes will save you time, money and space. 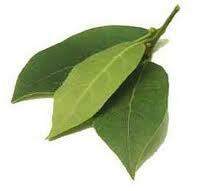 Lastly get yourself some bay leaves. These dried broad leaves are like good luck in a pot of soup. It adds an herbal quality that brings all of the flavors together. Pop a few when you are making soups, gumbos, stews and sauces. Remember, if you get a bay leaf in your bowl, you have to clean the dishes. Below is list of seasoning that will really get you moving and shaking in the kitchen. This simple investment will put you on the path to culinary exploration and success.